Rhythm Section (Piano, Bass, Drum Set). 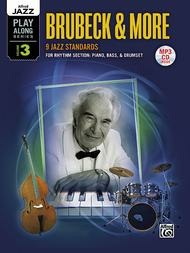 Composed by Dave Brubeck. Mixed Instruments - Flexible Instrumentation; Play-Along. Alfred Jazz Play-Along Series. Jazz. Book; CD. 132 pages. Alfred Music #00-36096. Published by Alfred Music (AP.36096). ISBN 0739073168. English. 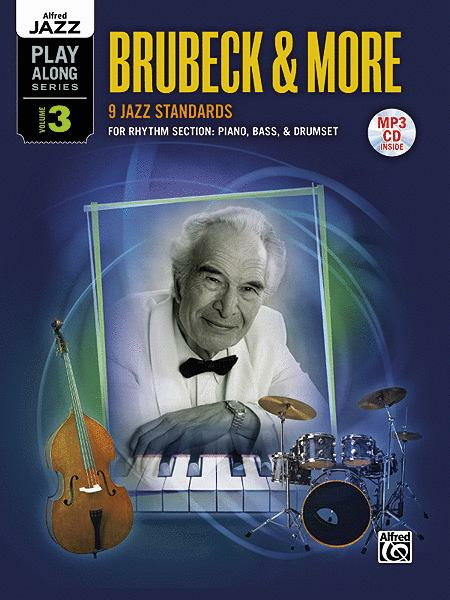 Dave Brubeck. The Alfred Jazz Play-Along series for Rhythm Section goes beyond the other play-alongs. The rhythm section book has written out parts for piano, bass, and drumset to show comping suggestions. In addition, each of the nine jazz standards includes the melody and a sample jazz solo written out for you to listen to, play, and practice. The included MP3 disc has a demo track and a play-along track for each tune for piano, bass, and drums. The demo track, featuring a pro rhythm section with a horn player, is a learning tool for the melody, piano comping, bass lines, drum parts, and improvisation. The play-along track allows each player to practice with the rhythm section as individuals with their part removed from the mix. In addition, the rhythm section parts in the book can be used as small group arrangements. Each jazz standard has specific improvisation tips and suggestions. The written out comping examples and melody along with the written out sample solos are all invaluable assets that makes learning how to improvise easier. Nine great tunes=great jazz! Titles: Alone Together * Good Bait * How High the Moon * In Your Own Sweet Way * Invitation * It's a Raggy Waltz * Old Devil Moon * Robbin's Nest * Unit 7.